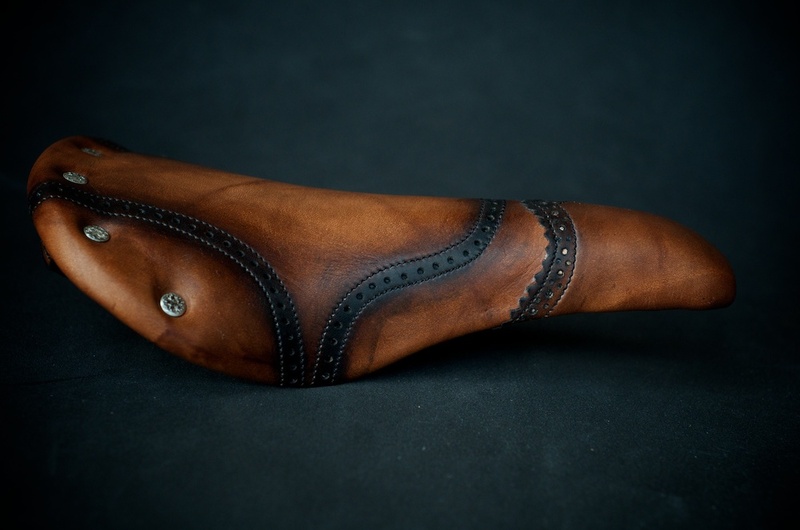 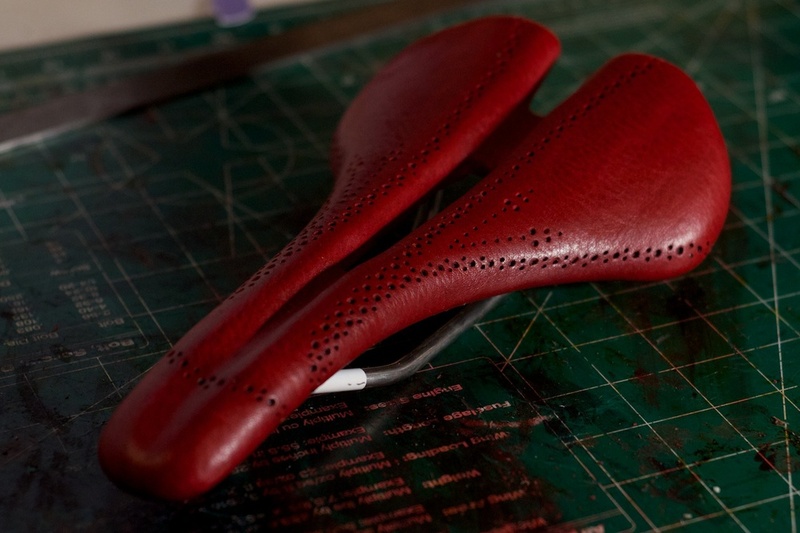 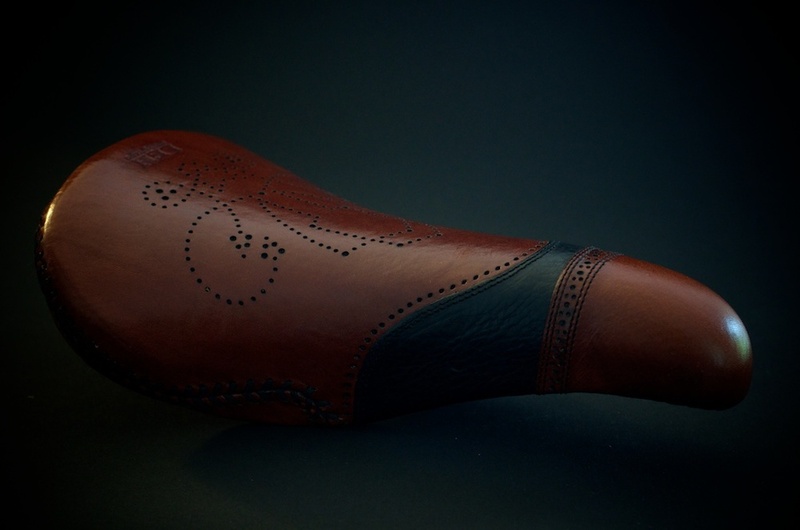 I made a couple of wingtip style road bike saddles in a couple of color variations. 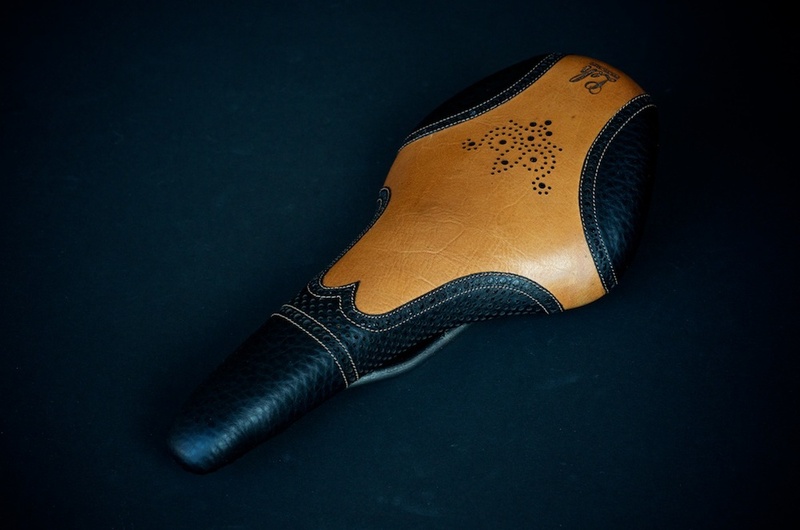 These are the last of the Delta top saddles I have in stock and I'll be replacing them with a similar Velo made Ritchey shape. 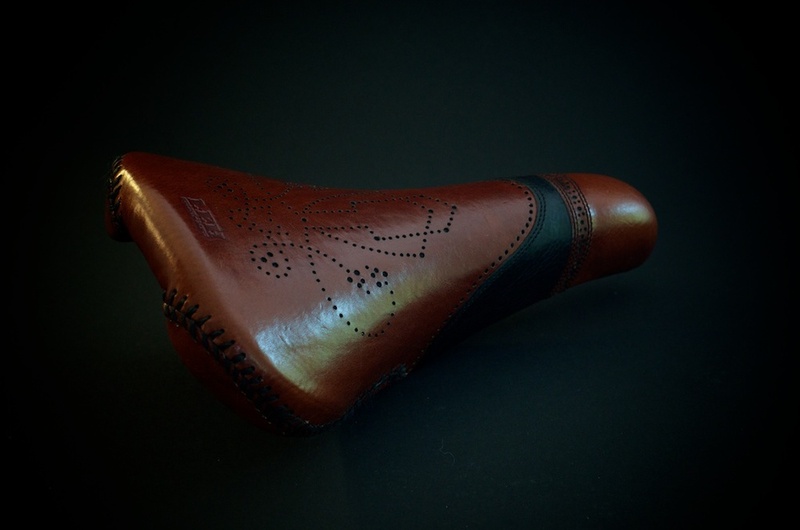 Of course the wingtip design is always available on any shape. 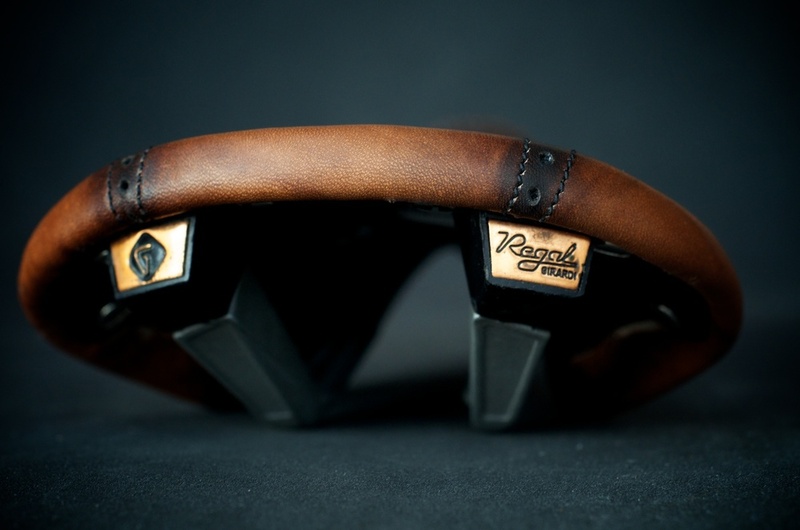 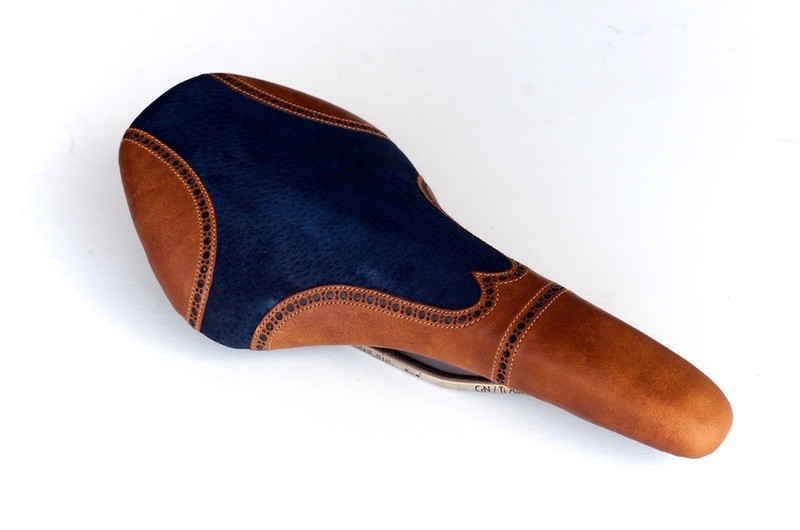 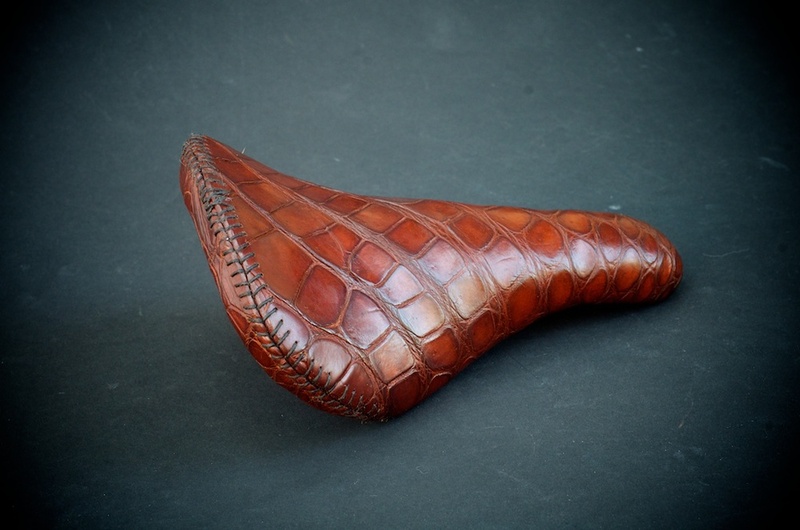 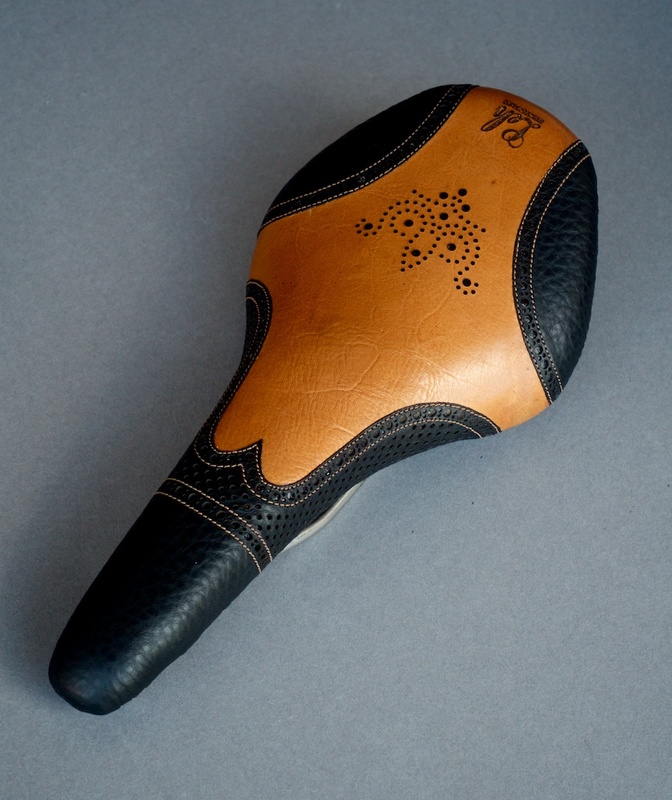 This was a adaptation of the Track III design for this custom vintage magnesium Selle Italia Regal saddle. 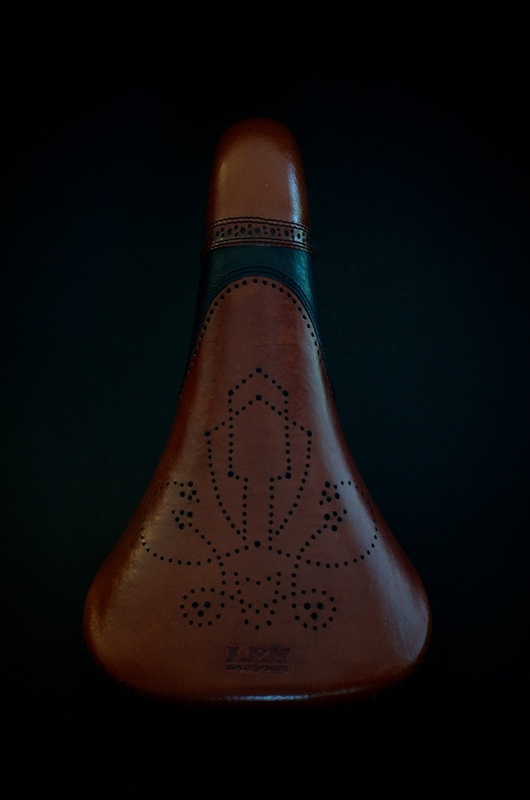 Involved a fair amount of work, had to drill existing rivets, remove frame and replace with new decretive "cutlers" style threaded rivets.